The changes will formally establish an 18-month pilot project, approved by council in April, for an overnight parking permit system for Highlands neighborhood residents on streets with 2 a.m. to 6 a.m. parking restrictions, with extra fees for overnight parking on Penn State home football weekends and during the Central Pennsylvania Festival of the Arts. The ordinance amendments also will codify the decades-long practice of non-enforcement of the overnight restriction elsewhere in the borough during Penn State football, Arts Fest and other special event times. 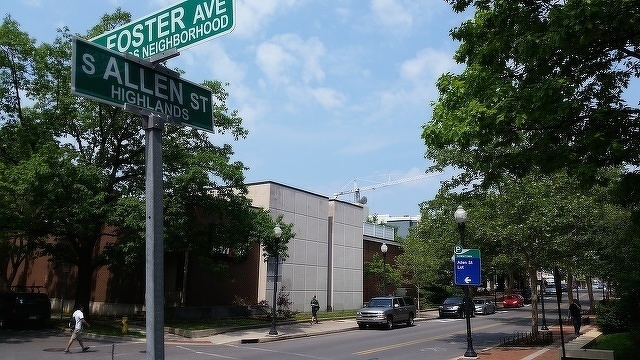 Highlands Civic Association President Mark Huncik and Vice President Susan Venegoni said that while the pilot project is not what the HCA asked for, the rest of the changes to the ordinance should wait until the pilot project is completed. "While it is our understanding that an ordinance is needed to enact the pilot permit program and collect fees, the remainder of the proposed ordinance should not be codified until after the pilot period and subsequent survey with final assessment by the Traffic Commission, Borough staff, Council, and residents," Huncik and Venegoni wrote in a letter to borough staff and council. For years, State College has waived enforcement of an overnight parking restriction on residential streets during Penn State home football weekends, other special events that bring an influx of visitors and vehicles to the area and holidays. In April 2017, HCA made a request for a short-term pilot project for the borough to enforce the restriction during football weekends, citing negative effects of increased traffic and street parking. "The HCA did not request a new ordinance, and we did not target any other special events, either Borough-sponsored or University-sponsored," Huncik and Venegoni wrote. After the borough studied parking on streets with 2 a.m. to 6 a.m. restrictions, council considered several options, including borough-wide enforcement at all times as well as continuing with the practice of not enforcing during football and special event weekends. The study in the fall of 2017 found more than half of the vehicles parked on all borough roads with restrictions did so only during times when parking was otherwise permitted. During the review, staff found nothing in borough ordinances as written gave the authority to waive the parking restrictions. The pilot is expected to go into effect on Oct. 1. Huncik said in an email that HCA's "concern has always been about parking and its effects during these events due to those not directly associated with a neighborhood resident," and that the neighborhood "is simply looking for relief from unwanted effects of event weekends." In their letter, Huncik and Venegoni wrote that the data collected by the borough in the fall of 2017 showed that the Highlands has become "a free event parking lot, and not just for guests and visitors of its residents," and that the university has adequate parking to accommodate visitors who come for university events. "For the safety and stability of everyone, decisions to enforce or relax ordinances should be made by council, openly, with input from all stakeholders," she said. "Personally, I would like to see council approve a list of event parking ordinance changes annually, in a manner similar to how street closures for high school football games are made. As the borough continues to change, how we address needs can change as well." Mayor Don Hahn, in a letter to council earlier this month, said he believes council should first receive and consider comments from the transportation commission before voting on the ordinance, and that a public hearing should be scheduled prior to a vote on the ordinance. He also suggested that council consider expanding the overnight parking permit system to other neighborhoods and to consider creating an overnight event parking area, akin to the existing commuter parking areas. Huncik and Venegoni said they appreciate the work of borough staff and council and hope to work together on the issue. "In the end, we endorse a program that recognizes the impact of ordinance relaxations on neighborhood residents and provides for input and transparency with respect to parking decisions in our neighborhoods," they wrote in their letter. "The HCA stands ready to work collaboratively as we move forward on this issue and appreciate your help in maintaining safe and stable neighborhoods for our residents." Borough council meets at 7 p.m. on Monday. 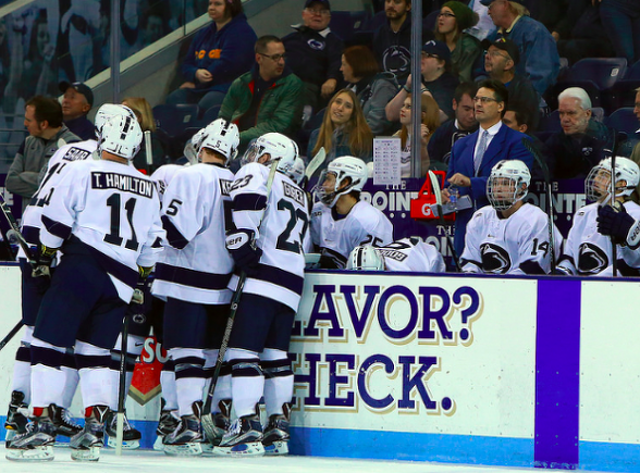 Penn State forward Brett Murray is set to leave the program, StateCollege.com can confirm. The news was first reported by the Daily Collegian. Murray won't transfer according to Penn State but will head to junior hockey where his playing time, and season length, will greatly increase.